The Scoop: As a national matchmaking company, Three Day Rule (TDR) is on a mission to help today’s singles date more purposefully and knowledgeably. In 2013, TDR Founder Talia Goldstein began developing efficient matchmaking and dating coaching services that guide relationship-minded singles to the perfect match. Today, Three Day Rule uses a combination of high-tech tools and interpersonal networking to grow its reach in 10 cities from coast to coast. Matchmaker Talia Goldstein founded Three Day Rule, an LA-based matchmaking company, to make dating easier and more fun for singles. After spending years advising her friends and coworkers in the dating scene, Talia realized that dating had become a dreaded chore for many men and women, so she left her job as a TV producer at E! True Hollywood Story to pursue her passion and see what she could do to help bring back the fun. Talia Goldstein gives singles dating resources they need to find love. First, Talia began hosting dynamic singles events throughout Los Angeles and quickly built a network of attractive and outgoing singles. By 2013, she was well-connected enough to officially launch a boutique matchmaking firm and turn her hobby into a full-fledged business. Today, Three Day Rule employs 50 matchmakers who arrange dates in 10 major cities in the U.S. Thousands of single professionals have relied on their hands-on dating service to take the stress out of finding the right match. Talia has spent decades studying the dating scene and figuring out how to help singles find love. She sees personalized matchmaking as a quality-driven resource that can counteract online dating burnout. Talia told us frustration with swiping and ghosting has motivated many singles to look for alternative ways to meet people — and that’s how they wind up in Three Day Rule’s offices. Since 2013, Three Day Rule has helped thousands of singles gain confidence and find love. The company’s extensive network of professional singles is active in 10 cities in the U.S., and it’s still growing. Clients range in age from 20 to 80, but they all share one thing in common: They want to meet the one. TDR singles aren’t looking for just anybody. They want someone who is on their level in terms of education, career, and attractiveness. They’re looking for a partner to share their lives with, and they need help narrowing a vast dating field down to a handful of viable candidates. 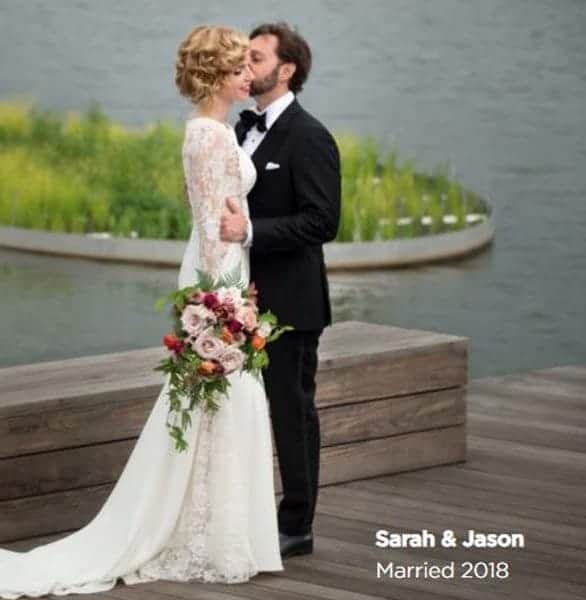 Sarah and Jason met through TDR and are now happily married. Three Day Rule has two membership options — premium membership and free membership. Anyone can join the singles database for free, and the matchmakers will sort through these profiles when looking for compatible dates for their clients. Matchmakers do not promise to arrange dates for singles in the database. The premium membership offers more hands-on assistance. Matchmakers scout potential date candidates based on the member’s criteria and offer guidance and feedback along the way. Talia and her team of matchmakers do the legwork to find eligible men and women around town, and then they arrange the date. Three Day Rule’s premium members also receive exclusive invites to special networking events where they can make face-to-face connections in real time. The matchmaking company employs a dedicated LGBTQ+ Matchmaker to support members of the LGBTQ+ community through the process of finding love as well. Three Day Rule pairs personalized assistance with high-tech support, and the results have been phenomenal. The Wall Street Journal, Forbes, USA Today, The Los Angeles Times, and The Huffington Post have praised these innovative coaching and matchmaking services. Talia said TDR clients rely on professional matchmakers to not only save them time but to give them peace of mind throughout the dating experience. They want someone by their side to give advice, facilitate introductions, and, ultimately, let love take its course. Three Day Rule supports a loving atmosphere in its offices. The matchmakers work in harmony with one another and collaborate for the good of their clients. Although everyone comes from different backgrounds — from former wedding planners to well-educated psychologists — they all share a common goal to bring more love into the world. Talia said each matchmaker at Three Day Rule is passionate about bringing couples together. Three Day Rule matchmakers are always networking with singles. TDR empowers its team members to become experts in the field and build their authority by speaking on panels, appearing on podcasts, and being featured on television and print news. Talia is always on the lookout for opportunities to share her dating wisdom and raise awareness about modern matchmaking. In 2018, Three Day Rule created the Ask A Matchmaker Series for Fab Fit Fun, and the matchmaking company also created a new Alexa skill that delivers dating advice to people’s homes. Pairing technology with personalized assistance has become Three Day Rule’s secret sauce, and Talia plans to continue developing innovative ways to coach singles across the country and create a movement toward intentional dating. Three Day Rule’s matchmakers offer singles a fresh start in the dating scene. Many clients take the opportunity to reflect on their dating experiences and begin making intentional decisions to reach their relationship goals. Sometimes it takes months or even years of self-work before the person is ready, but Three Day Rule’s matchmakers are more than willing to invest their time and energy in such an important journey. Three Day Rule’s testimonials show just how far people can go when they trust in the process and listen to their matchmakers. The Three Day Rule team enjoys receiving photos of engagements, weddings, and newborn babies because it underscores the importance of the work they do every day. What’s been good for singles has also been good for business, too. TDR has more than doubled its revenue in the last year, and the matchmaking company has expanded its services nationwide. Talia has brought new talent onto the team, and she said she’s excited for what the future holds for Three Day Rule. Three Day Rule has gotten matchmaking down to a science and leveraged technology to make the experience more streamlined and personalized. Since 2013, Talia has made deliberate choices to assist singles on the path to love. Her matchmaking and dating coaching services appeal to intentional daters who are ready for something serious. 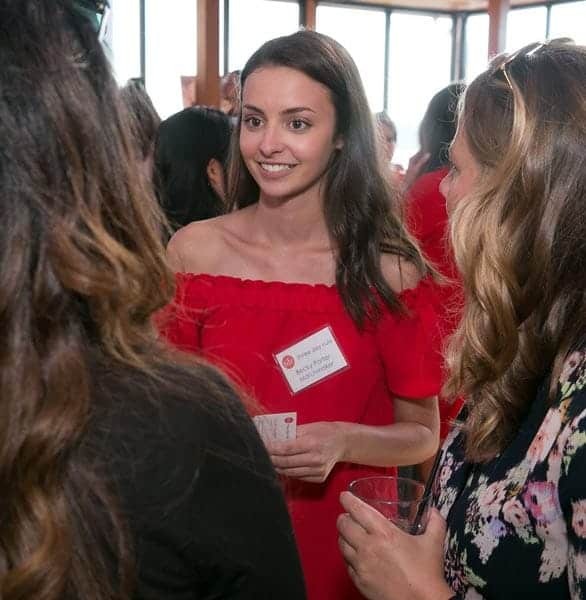 As TDR grows, Talia said she hopes TDR’s recognition in the dating space can be a part of bringing matchmaking back into the minds of all daters who are ready to find love.